A new charity, Treatment Bag, founded just outside Wincanton in Charlton Musgrove, seeks to offer a little respite to cancer patients undergoing chemotherapy, or to those who find themselves beyond treatment. The charity will supply luxurious cloth bags filled with beautiful gifts specifically selected for those undergoing treatment for cancer, though not containing anything medical. 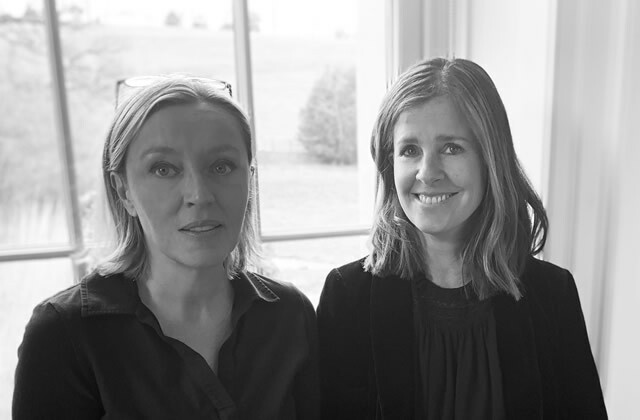 It has secured support from brands including Green & Blacks, Cowshed, Aesop, Emma Bridgewater and This Works, as well as endorsement from Maggie’s Centres and their own charity, Ellie’s Friends, as well as a distribution partnership with Healthcare at Home, within its first six months of operation. Started by friends Maymie White (co-founder of luxury villa operator Scott Williams and a lymphoma patient herself) and Lisa Dennis (founder of Big Fish Branding and former chemo buddy), Treatment Bag was established in summer 2018, inspired by a simple gift of a bag of apples, given to Maymie by a cider farmer as she underwent her treatment in Yeovil Hospital. Touched and cheered by this random act of kindness on an otherwise challenging day, Maymie became inspired to explore whether she could expand the idea to ensure more cancer patients felt similarly loved. 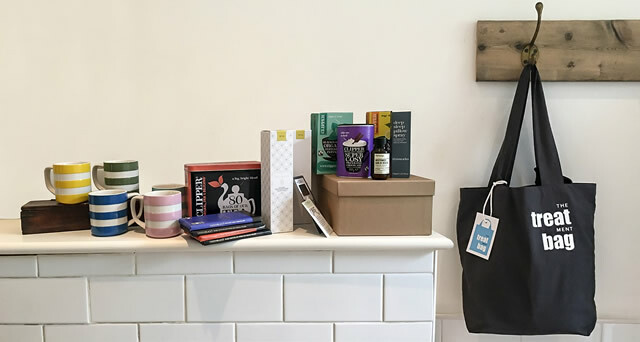 Gifts that have been contributed to date range from cashmere hats and scarves from Franchetti Bond, scented candles from True Grace and lavendar pillow spray from This Works, to food vouchers from Cook Food and mugs from brands including Cornishware and Emma Bridgewater. 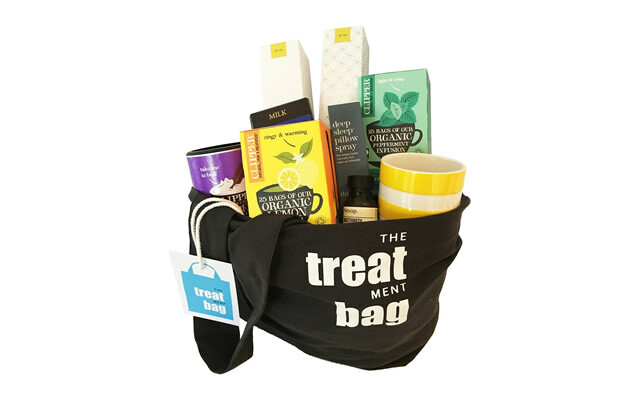 With increased interest in Treatment Bag, the charity has entered a partnership to supply Healthcare at Home with 25 bags per month for nurses to give out, and is endorsed by Maggie’s Centres who distribute bags through their own charity, Ellie’s Friends. 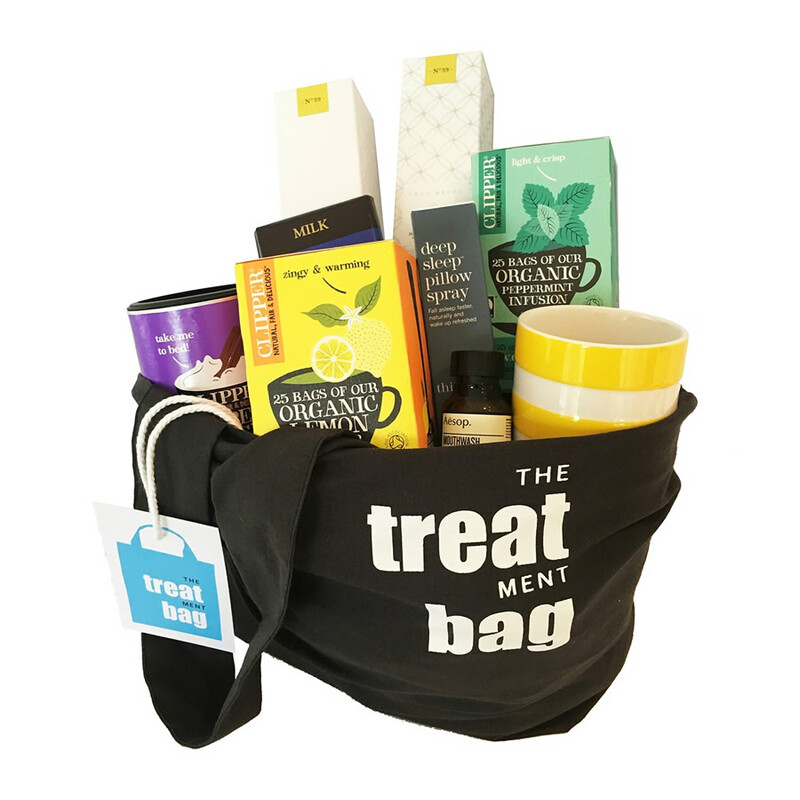 Treatment Bag ultimately aims to secure distribution throughout the NHS and is currently working to raise awareness both to increase demand and to secure further support from partner brands. For further information, to make a donation (£50 covers the cost of one bag but if people can’t afford this the charity will consider less), to enquire about partnerships or request a bag for a friend, visit www.treatmentbag.co.uk.